Last night there was a smoking hot Heat fan seated courtside who caught the internet’s attention while celebrating a Goran Dragic basket in her revealing black dress. 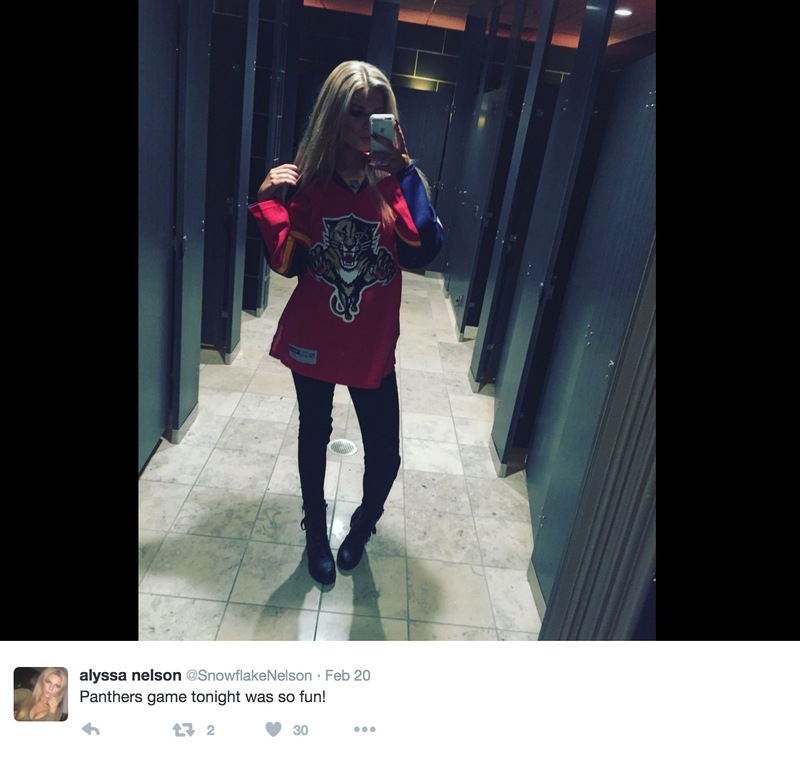 Now, we have answers: Her name is Alyssa Nelson and she was already somewhat famous, having previously earned fame for her belligerent actions at a Minnesota Wild game a few years ago. It appears as though she’s back for more attention, and we couldn’t be happier about her return to relevance in the sports world. Go Alyssa! !